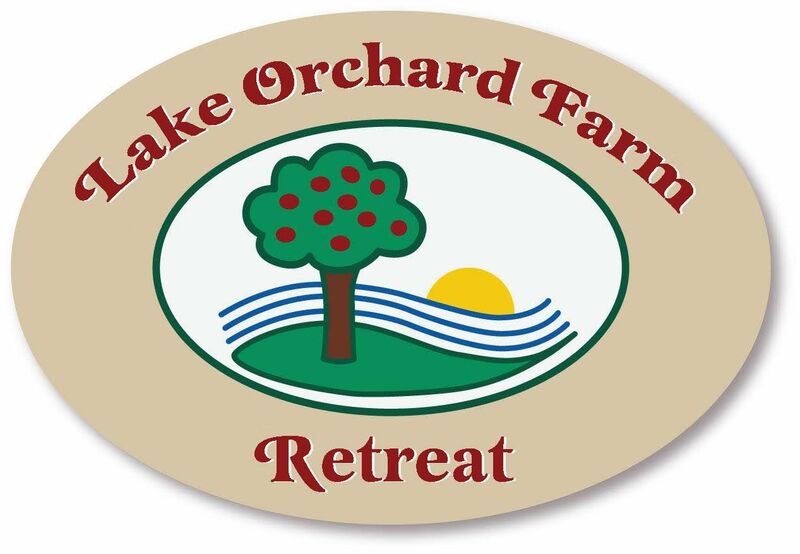 Crafting retreats at Lake Orchard Farm include a 3 night stay in our Bed & Breakfast. Check in Thursday 10:00 a.m. and check out Sunday by 3 p.m. There are 4 guest rooms in our building, each room has a queen sized sleep number bed and queen sized sofa sleeper. Maximum capacity = 12. Pricing is based on the season and the number of guests. Our clubhouse area is downstairs and will be set up as a large crafting area perfect for projects and conversation. Each person will have a 6-foot table with its own lamp to insure adequate lighting. Satellite TV, wireless internet, and sirius radio stations are available in the clubhouse area. Use of our fully equipped kitchen is included, as well as coffee and cookies. Guests can set up snacks and/or meals on our bar area for convenient grazing while you continue to work. Breakfast can be added for an additional $10 per day per person. While staying at the Lake Orchard Farm, guests can also explore the natural beauty that surrounds them. Seasonally, enjoy walks in the woods, lake Michigan views, on site golf, farm tours or hayrides. Our luxurious rooms include whirlpool tubs, gas fireplace stoves, private balconies, and sleep number beds so you can relax and unwind after a long day. Debbie Hauser, Green Bay, WI: The hospitality exceeded my expectations, I couldn't have had a more wonderful time! Lovely grounds, so clean, comfy and very home like. I've been several places for scrapbooking weekends and this was the best so far! Thank you so much for making us feel so welcome - very, very comfortable stay! Lori Jonet, De Pere, WI: Nate and Mary were so accommodating to our needs. Our first scrapping weekend at the Lake Orchard Farm, and we never book our next gathering more than 6 months in advance, without shopping around first… no need for shopping around, this is the best place we have ever scrapped at! We rebooked for our next gathering that is 6 months away! Thank you, thank you!